Do you have the club racer hardtop from Smoothline? Do you like it? Good to hear the news. We are having just terrible weather. It's been in the min to high 60's since the snow storm moved out earlier this week. 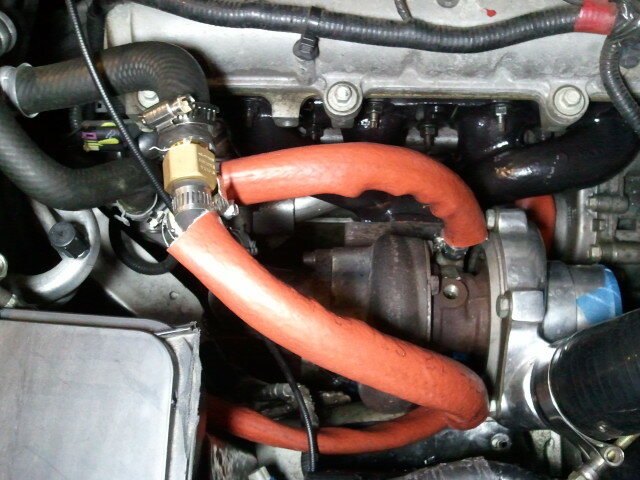 Turbo is all plumbed! After the IC pipes I had really weren't working, DDM is sending me some slightly modified GXP pipes and I'll be working with those. Hopefully have happy update this week. and talking with a fabricator to finish the cold-side IC pipes. Getting there! Money is always good, I do not have the box to ship it and have no idea what the charge would be. "I think you were interested in buying my Top, The Club racer. I am driving up to Mo tomorrow to look at his Top. If I like what I see I am buying it. If I do, I would want $1000. for mine. PS if it wasn't you interested, sorry for the bother." Thanks, I am interested. I do not have anything in exchange though except money. Retired from City PD and the County SO. twice.